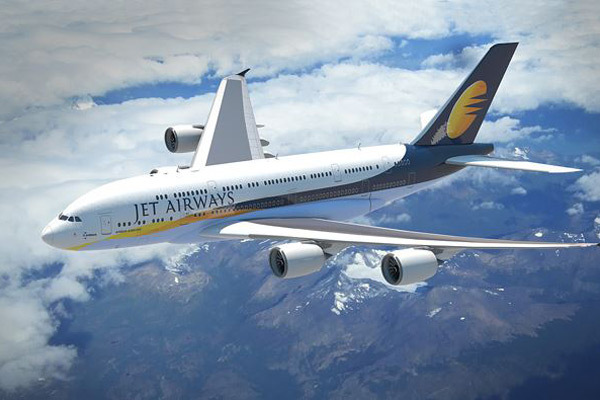 India's Jet Airways has announced attractive fares for travellers from Oman, offering guests a special discount on existing lowest fares from Muscat to popular destinations on the airline’s network in India, and beyond to Bangkok, Singapore and Hong Kong, said a report. Travellers can avail a discount of 40 per cent on tickets booked up until March 24 for destinations between Muscat and selected points in India including Mumbai, Delhi, Kochi, Thiruvananthapuram, said a report in Muscat Daily. Similarly, the airline is offering a discount of up to 20 per cent on fares, when booking Economy and Premiere tickets before March 24 to Bangkok, Singapore and Hong Kong from Muscat. Tickets booked as part of both sale offers will be valid for travel from March 15 to December 10, it said. The special fares will be applicable only on direct flights operated by Jet Airways and for both one-way and return journeys. Guests can book their tickets on the airline's website, the mobile app or through travel agents.